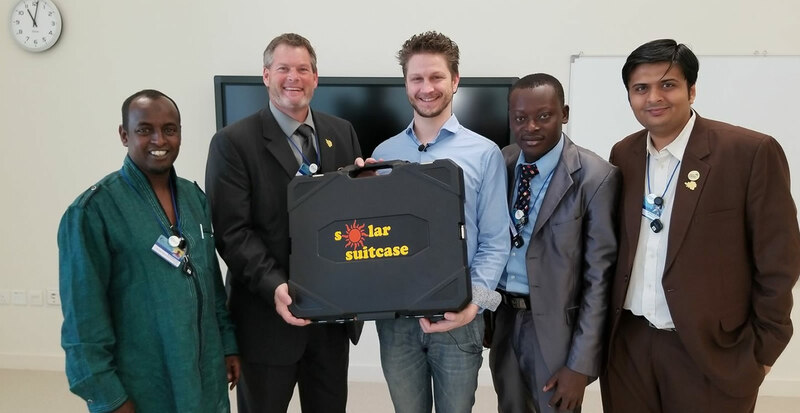 The solar suitcase was developed to offer free and sustainable power supply to African schools. 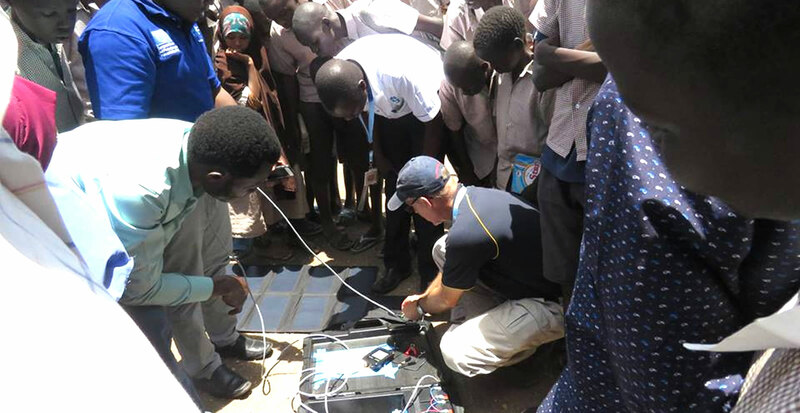 When installing a lab in the Kakuma refugee camp (Kenya), we lacked power supply and needed to pay for diesel generators. We needed an alternative offering free and sustainable electricity in order to charge laptops and have Skype calls. 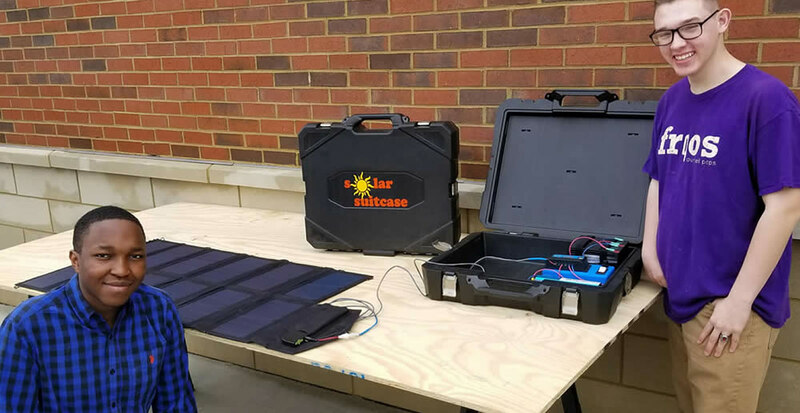 The Solar Suitcase was developed by Koen Timmers and Brian Copes. This suitcase has a folding solar panel, inverter and battery. The Solar Suitcase is mobile and allows to charge about 10 laptops, phones, etc during the day. At night it offers light to students who remain in the school. The Solar suitcase has a foldable solar panel, 220 Volt inverter and a battery (96 Watt hours). The first version was custom made by Brian Copes' American students who won prizes. They 3D printed custom made components. The suitcase was presented during the Global Eduation and Skills Forum in Dubai in 2017 where it was warmly welcomed by enthusiastic teachers, policy makers and media from around the world. During a brainstorming session, a Kenyan, Nigerian, Indian, American and Belgian teacher discussed its features and potentials. The Suitcase was transported by Australian teacher Ken Silburn who travelled to the Kakuma Refugee Camp where it now serves Al-Nuur primary school which houses 2.700 students.